Les Bons Samaritains (The Good Samaritans) is a school founded to serve the economically and socially deprived children and adults of Haiti. 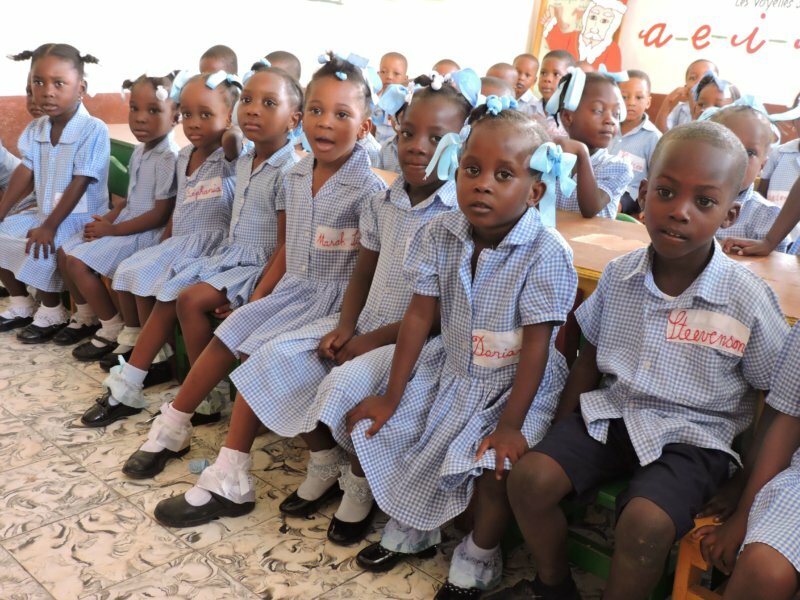 It specifically targets the poorest of Haiti’s poor– those children who most desperately need a chance. 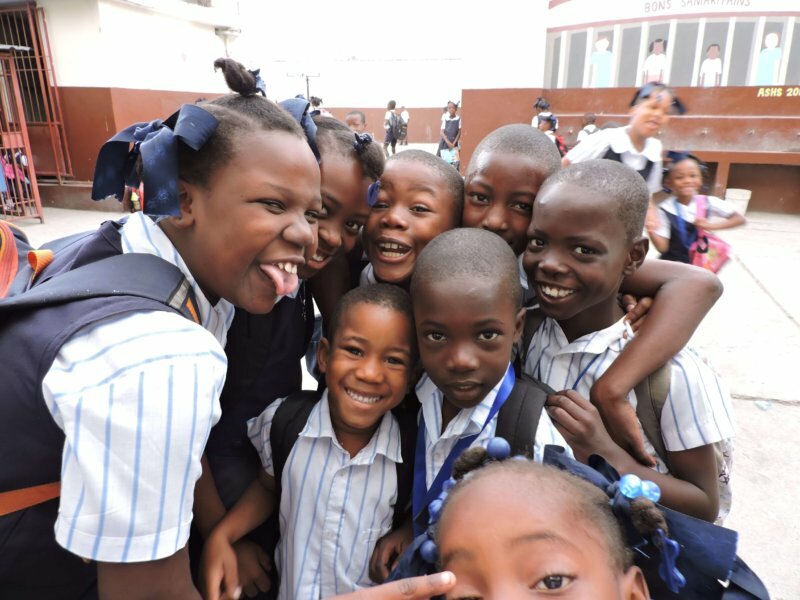 The goal of the Good Samaritans School is to form a new generation of Haitians who are well-equipped to become responsible future leaders of the country. The Good Samaritans opened its wrought iron gate July 7th, 2001 with a dedication ceremony and benediction by His Eminence, William Cardinal Keeler, Archbishop Emeritus of Baltimore. 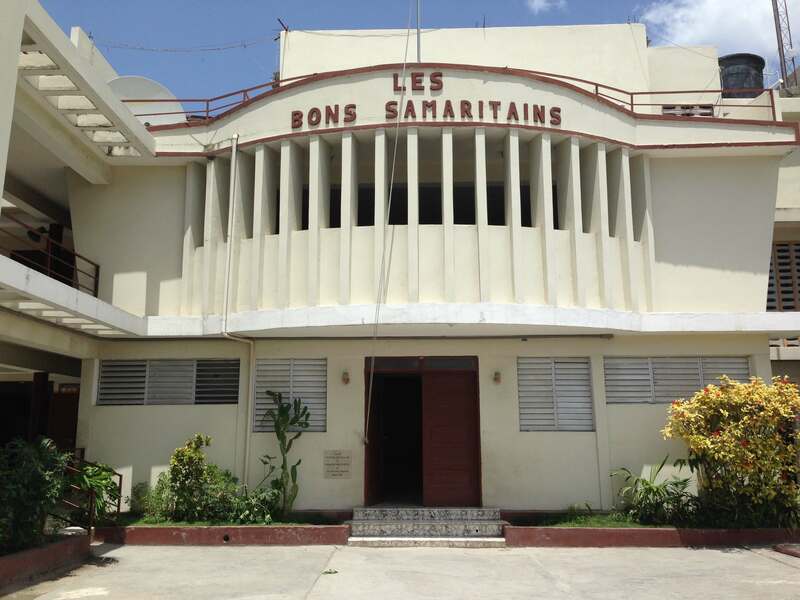 Contributions from Food for the Poor and private donors funded the construction of the 3-story building, directed by the Sisters of St. Joseph of Cluny. 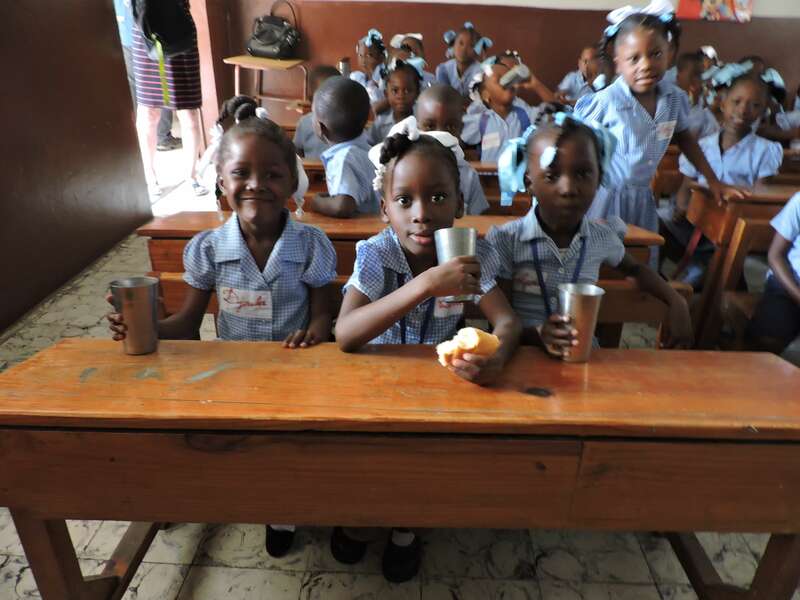 The school currently serves 500 students from grades K-6, providing 2 meals each day, tuition, school supplies, and medical care through a student sponsorship program. 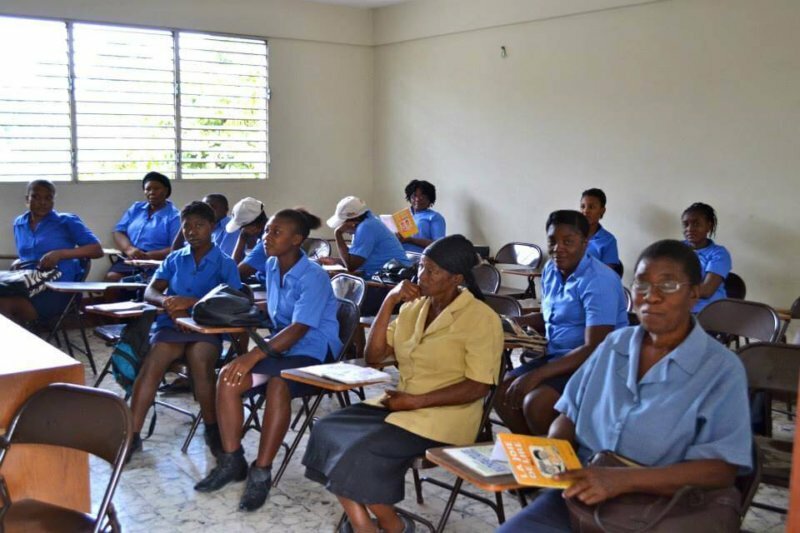 Adult literacy classes for men and women are provided Monday through Friday over a four year cycle in the Good Samaritans school building. 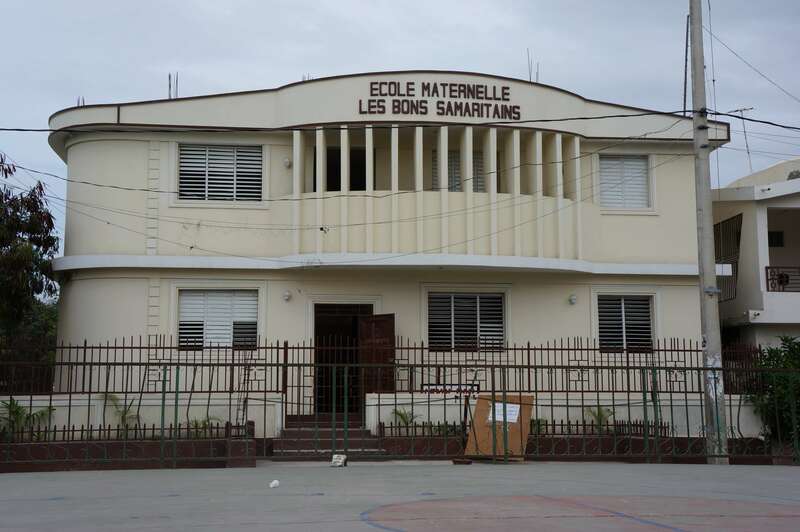 Priority for admission is given to parents of students at the Good Samaritans school. 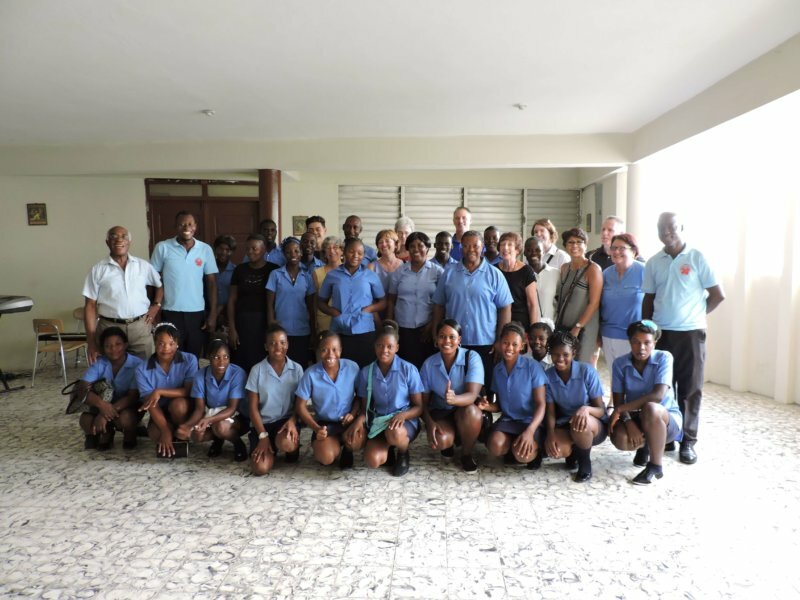 A sizable minority has decided to continue their education beyond those 4 years. On average, nearly 80 adults are enrolled each year. 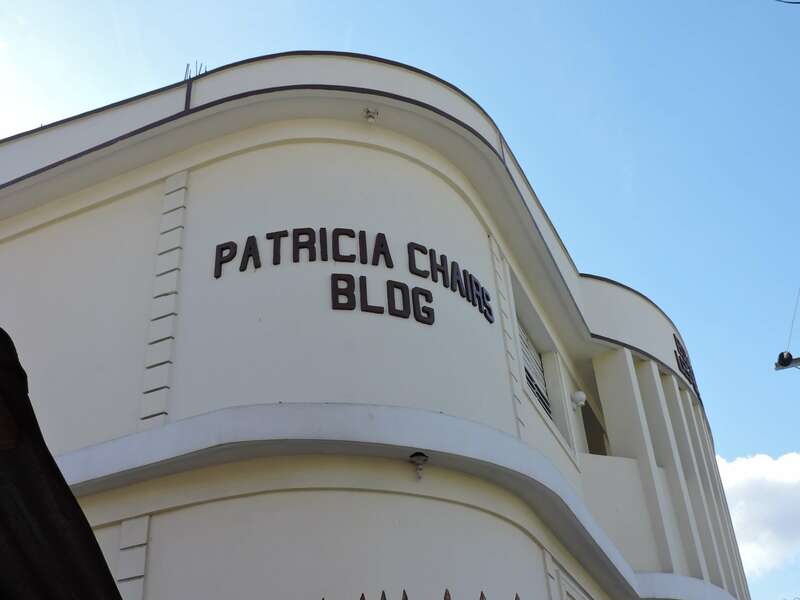 As of September 2015, the Patricia Chairs preschool opened nearby to welcome three and four year olds for a 2 year program before joining the kindergarten housed in the Good Samaritans school building pictured above. 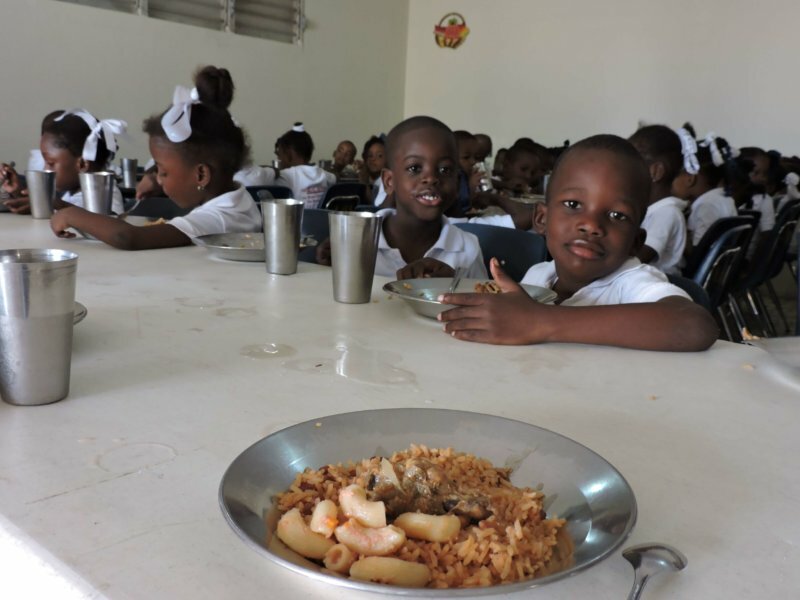 Students are given breakfast on arrival and a substantial meal following classes and tuition-free quality education through the 6th grade. 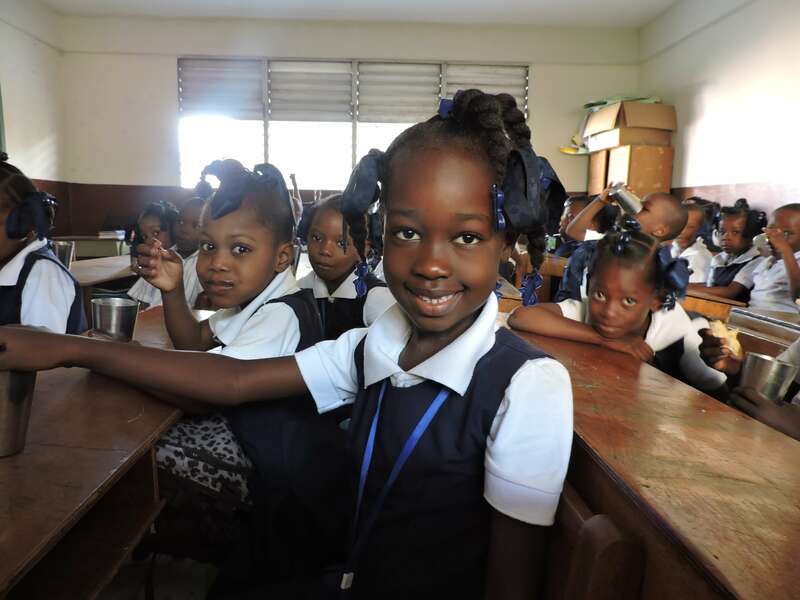 In addition, all of the children receive preventative medical, dental, and eye care annually. 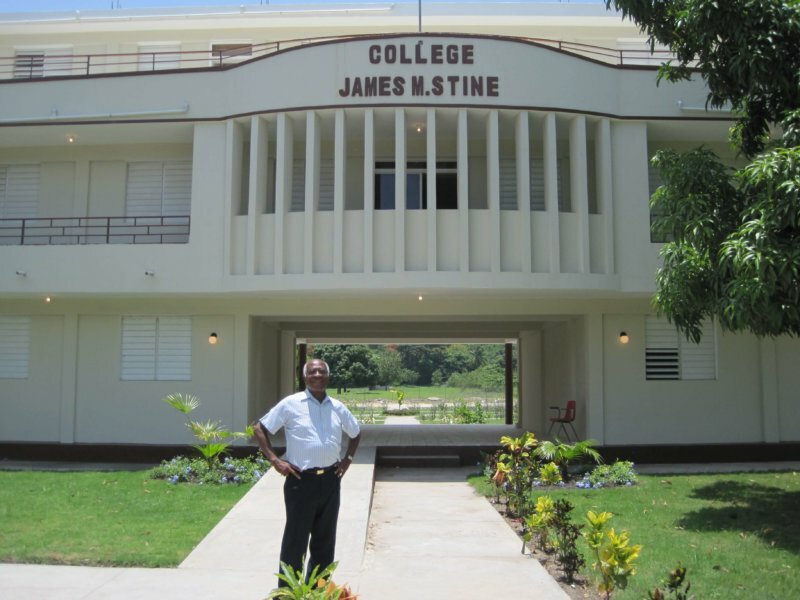 College James M. Stine (James Stine College) is a private secondary school in St. Marc, Haiti. 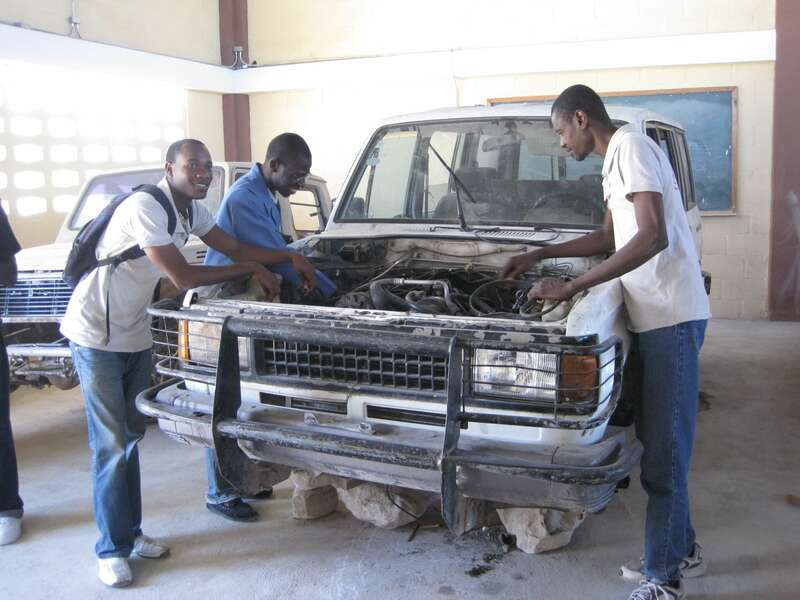 It welcomed its first students on October 3, 2011. 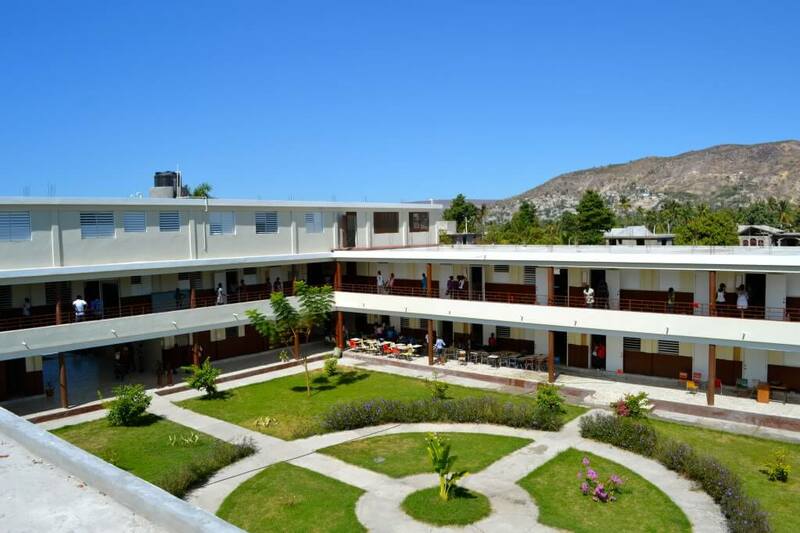 The James M. Stine College offers quality secondary education to young women and men from the region and to those whose schools collapsed during the earthquake. 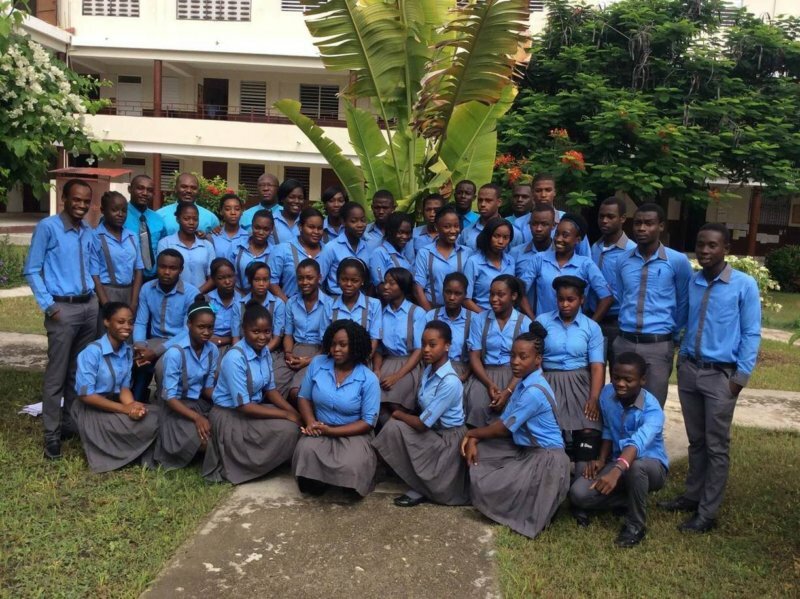 The Clercs de St. Viateur, a religious congregation of priests and brothers, direct the school. 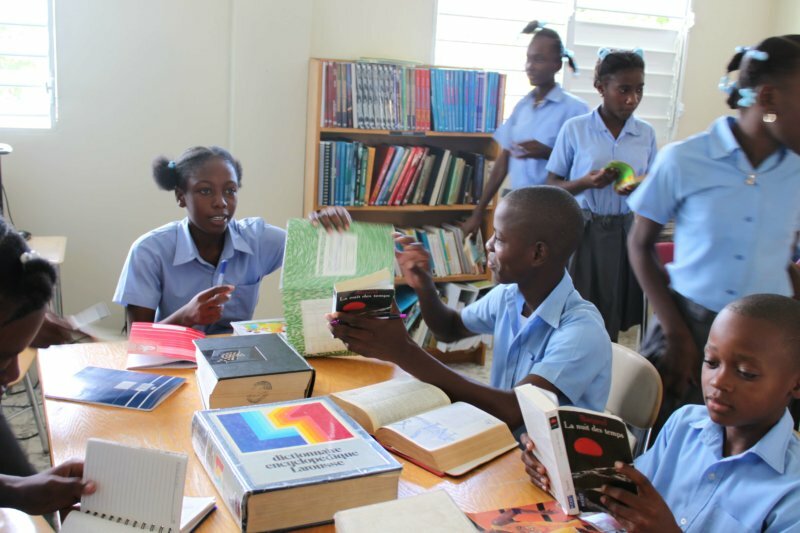 It currently serves nearly 500 students in grades 7 through 13. 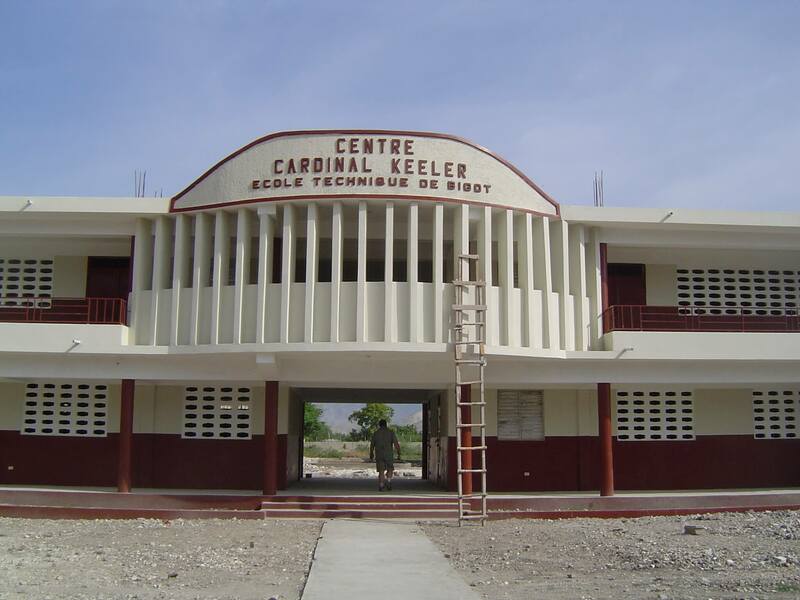 The Cardinal Keeler Vocational School, located in Gonaives, Haiti was inaugurated in February 2008.